In 2016, Pace University's Office of Sponsored Research partnered with the Division for Student Success to present Student and Faculty Research Days. 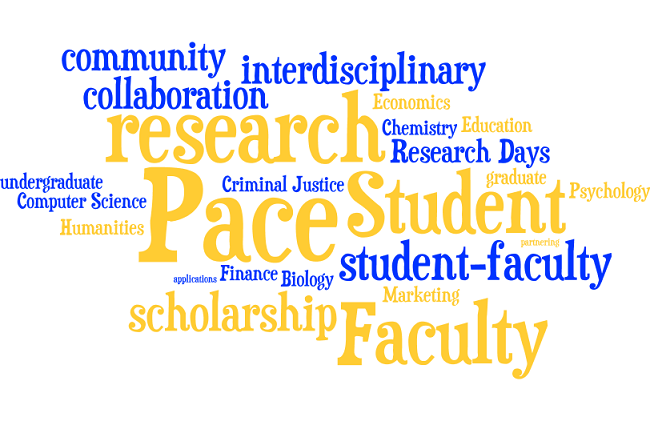 This effort combined two previously separate annual events, Research Day and the Undergraduate Student-Faculty Research Showcase, to highlight the many different disciplines and areas of scholarship being pursued by members of the Pace Community. Papers and projects from the Undergraduate Student-Faculty Research Showcase may be viewed in the series of that name in the Digital Commons@Pace. This series houses other research projects from Pace University Student and Faculty Research Days. The Helpers of the Secret Annex: A Guide for Students, Elliot L. Hearst Dyson College, Pace University and Victoria Noriega, Research Asst. Escape from the List: Courage, Sacrifice, Survival, Elliot L. Hearst and Angelica E. Roman, Research Asst.